At The Organic Compounding Pharmacy we make a treatment called Atropine 0.01% Eye Drops in our sterile compounding facility. Our sterile facility is NAPRA approved and is one of the leading facilities in Canada. 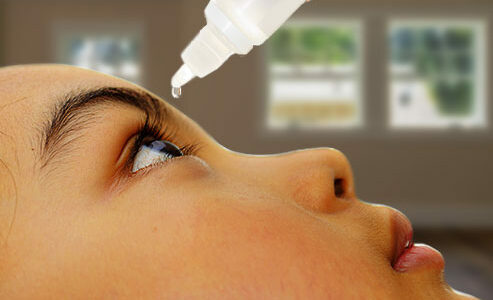 If you have a prescription for Atropine Eye Drops, Contact Us! Saw SM, Shih-Yen EC, Koh A, et al. Interventions to retard myopia progression in children: an evidence-based update. Ophthalmology 2002;109:415-421; discussion 422-414; quiz 425-416, 443. Duncan G, Collison DJ. Role of the non-neuronal cholinergic system in the eye: a review. Life Sci 2003;72:2013-2019. Chua WH, Balakrishnan V, Chan YH, et al. Atropine for the treatment of childhood myopia. Ophthalmology 2006;113:2285-2291. Tong L, Huang XL, Koh AL, et al. Atropine for the treatment of childhood myopia: effect on myopia progression after cessation of atropine. Ophthalmology 2009;116:572-579. Chia A, Chua WH, Cheung YB, et al. Atropine for the treatment of childhood Myopia: Safety and efficacy of 0.5%, 0.1%, and 0.01% doses (Atropine for the Treatment of Myopia 2). Ophthalmology 2012;119:347-354. Chia A, Chua WH, Wen L, et al. Atropine for the treatment of childhood myopia: changes after stopping atropine 0.01%, 0.1% and 0.5%. Am J Ophthalmol 2014;157:451-457 e451. Chia, Audrey et al. Five-Year Clinical Trial on Atropine for the Treatment of Myopia 2. Ophthalmology , Volume 123 , Issue 2 , 391 – 399.